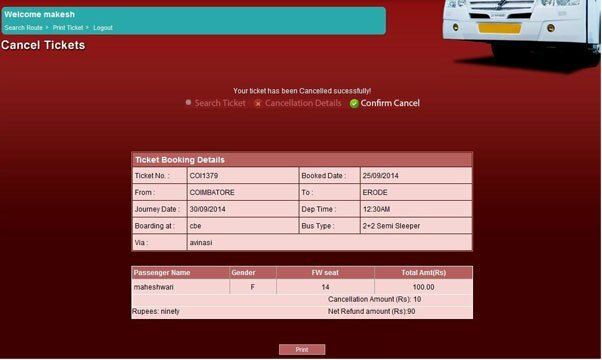 Macronimous developed a Travel booking engine which has been used by multiple bus operators. This is a web based application, which also extends to Mobile with JSON API connectivity. The app has been written scalably and hosted in Amazon cloud. We have listed out few of its features. 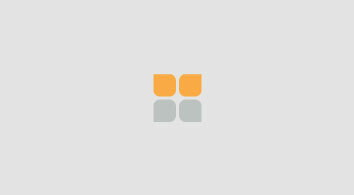 If you like similar travel booking engines developed or customized, feel free to contact us. 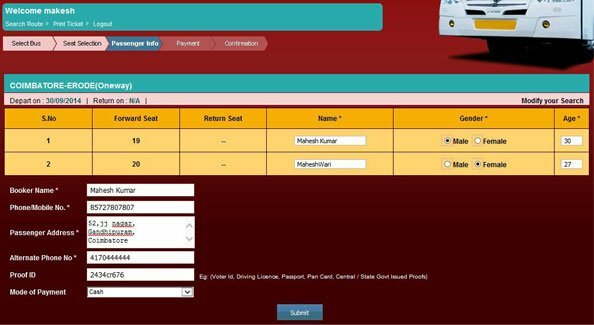 Search for availability of tickets by specifying the origin and destination along with the date. 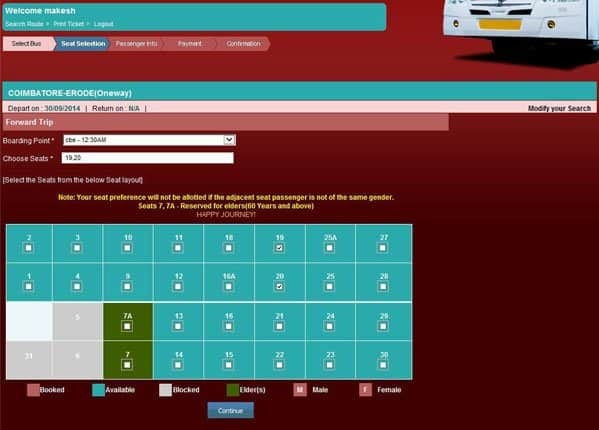 Select the bus type from the list of results for bus availability search. Choose the Boarding Point and the desired seats from the seat layout and click on continue. 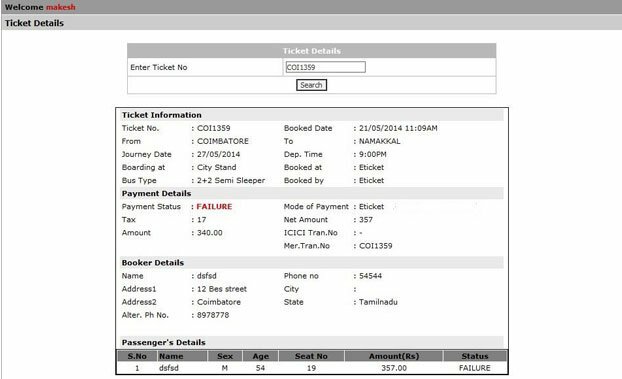 Enter the details of the Passenger(s) for booking the ticket. 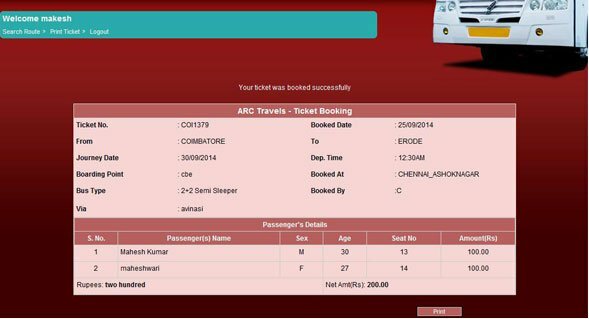 Print the booked ticket details. 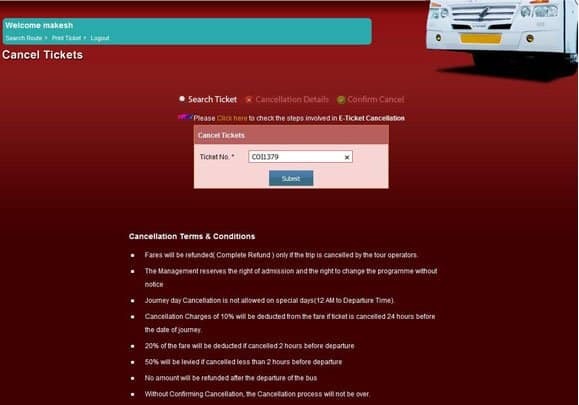 For cancellation of ticket, enter the Ticket Number. Select the passenger record the need to be canceled and the seat will be opened. The booking amount will be refunded fully or partially based on the time of cancellation. The ticket is canceled successfully. 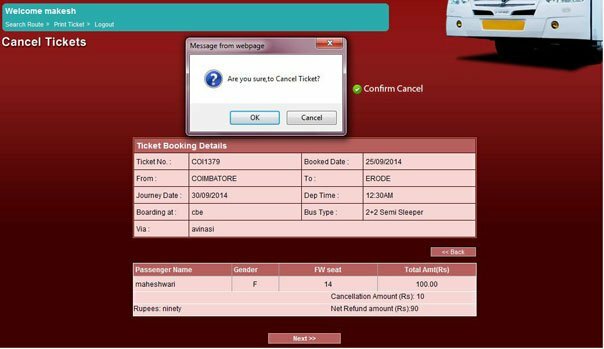 This is a module for the off-line walk-in user who reserves ticket at the booking office counter. Do you have a project to engage us? Let us discuss. Please send your requirements.